Zagat Mixology Survey Reveals Industry Trends and What’s Popular in Cocktail Culture – TAM Card® Nation in Vegas! Bartenders and establishment owners sometimes wish they had a window into the minds of their patrons. What do customers really want? 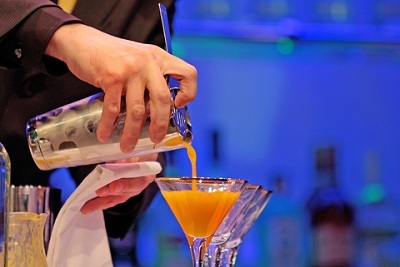 How can we best serve our bar patrons while increasing profits? Well now you may just be able to find the answers. Zagat, a leading guide for restaurants, service professionals and diners alike, has just released their first Mixology Survey Results after polling 1,000 imbibers about everything from their favorite spirits to pricing, wait times, and consumption habits. What better way to get a look at just what potential customers are buzzing about! 54% of survey respondents indicated that $15 is the most they will pay for a drink. Another 20% listed anything over $20 per cocktail as too expensive. Good news for bartenders, the majority of customers are generous with their tipping habits. The average tip amount on bar tabs works out to be about 18.9%. Regarding favorite spirits, answers are different among men and women. 46% of males said that whiskey is their favorite spirit compared to 22% of females. When it comes to vodka though, 36% of women say that’s their beverage of choice, compared with 17% of males. The battle for the most popular cocktail was neck and neck. The martini and the Manhattan tied for first place with 12% each. In a close third place was the old fashioned, with 11% of the vote, and the gin and tonic and margarita were number four and number five, respectively. Industry professionals can use the survey results to generate ideas on how cater to their patrons. And remember, responsible beverage service is a necessary component to an excellent dining experience. TAM of Nevada’s knowledgeable instructors can teach your employees how to serve responsibly, and offer real-world insight into providing all-around excellent customer service. To review the full survey results, visit the Zagat blog. What do you think of survey results, do they mirror trends that you see in your own establishment? Reblogged this on Héctor Videla .